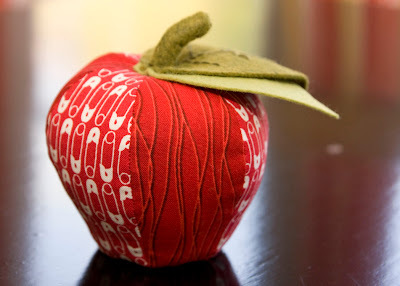 from the blue chair: An apple for today and Quilt Market!! An apple for today and Quilt Market!! 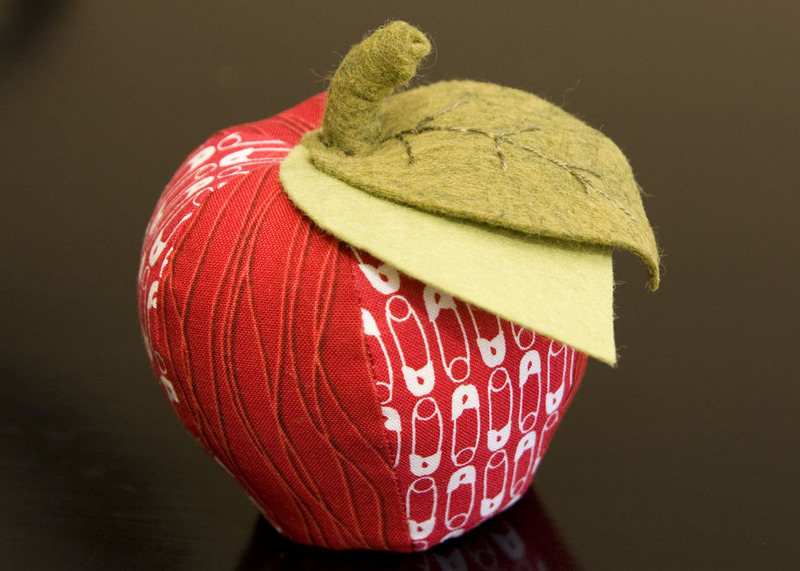 We're having a pin cushion swap at the Salt Lake Modern Quilt Guild this month. Here is the little guy I put together for the swap. 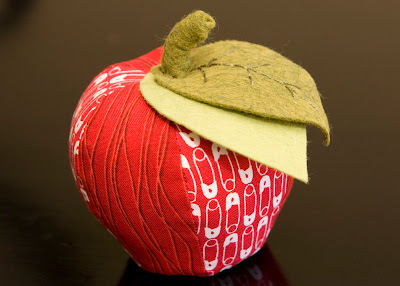 It's another Heather Bailey pin cushion pattern. Her patterns are so fabulous. This one is far easier than the elephant too. 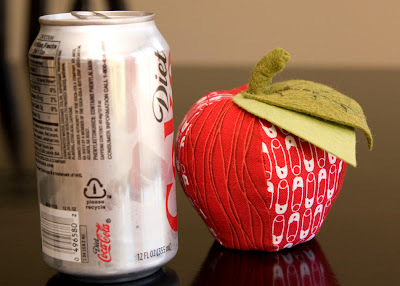 I really love it and might have to make one for myself. I stuffed this guy with a mixture of lizard liter and the polyester stuffing. The mixture worked perfectly. The lizard liter (AKA crushed walnut shells) gave it a nice weight but the stuffing helped it keep its shape. Check out this post from Adrianne over at Little Bluebell about using the lizard liter. I used the condiment bottle like she suggested and it works perfectly. In other super fun news, I'm headed to Quilt Market this weekend. Sue from my quilt guild got a few of us passes through her business. I can't tell you how excited I am. I started following quilting blogs about two years ago, right when there were lots of posts going up about Market back then. I knew I had to figure out how to get there someday. This is going to be one fabulous weekend. I'm hoping to make it to the Modern Quilt Guild meet-up tomorrow evening and have a reservation for the Quilt Market Meet-Up on Saturday. Expect loads of pictures next week! Oh Kati, I am so j.e.a.l.o.u.s!!!!!! Have so much fun meeting all the amazing, inspiring people at Quilt Market. Take lots of pics and post them, please!!! Lizard liter? I'm glad you explained what that is...I would have spent a good hour scratching my head (or at least until I googled it). I'm featured on Quilt Story today!